PINOT Gris appears to be really hitting its straps of late, not just here but internationally, particularly amongst female drinkers who enjoy its slightly more fruit-forward characters either for social sipping or with a variety of food choices. And interestingly California is now the world's biggest maker of Pinot Gris, overtaking its home-town France (and Italy where its known as Pinot Grigio,) while Australian growers are also planting more of the variety, as are many in New Zealand. 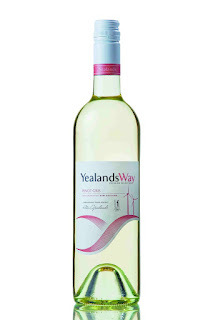 One particularly enjoyable New Zealand Pinot Gris is from Essenze in Waipara on the South Island where the 2011 vintage was one of almost textbook perfection: their resultant wine that's just been released here is one with ripe fruit flavours of peach, pear and with citrus touches, and a touch of minerality. Chief Winemaker, Corey Ryan and young-gun off-sider, Gwyn Olsen can be justifiably proud of this one, and to enjoy it (at a well-priced $19.99) to its best at the table, they suggest matching with roast chicken over shiitake mushroom and goat's curd fettuccine. ONE FOR LUNCH: RYMILL in South Australia's Coonawarra have released their first-ever Gewurztraminer, and it makes you wonder why they've waited so long to show their skills at making this perfumed, sweeter-style wine – and which in this case is made in more dryer-than-usual mode. Senior Winemaker, Sandrine Gimon crafted the 2011 Rymill Coonawarra gt (for Gewurztraminer) as part of the company's "Coonawarra Foodies" range of wines. 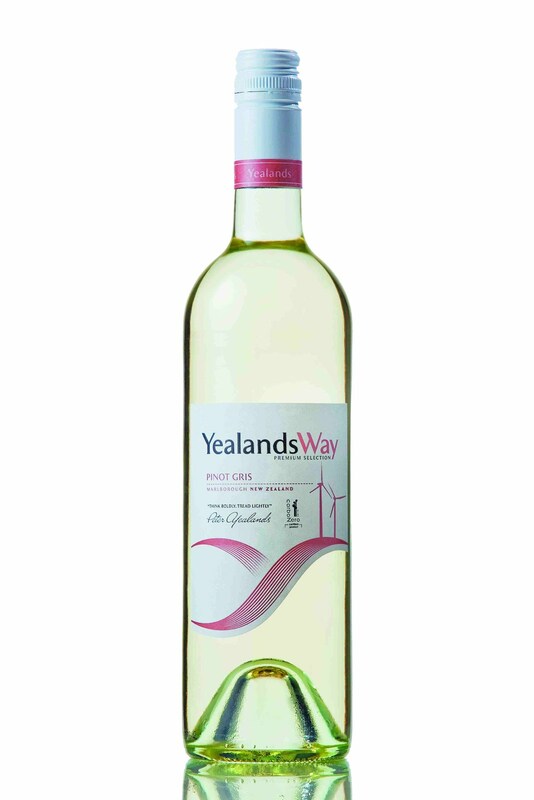 And she certainly achieved her goal of a wine that's traditionally crisp and luscious, and ideal to partner with a myriad food options, in particular most spicy Asian dishes (think along the lines of Vietnamese barbecued pork fillet,) duck, or chicken or pork stir-fries. Nicely priced at $19.95 for adventurous foodies. 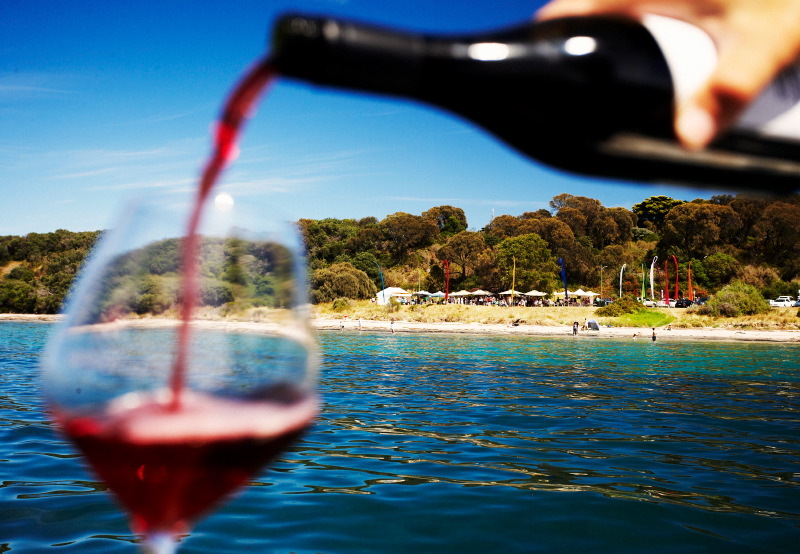 NSW Wine Festival's Sydney Cellar Door is Sydney's biggest outdoor food and wine event. It will be held this coming weekend Saturday the 25th & Sunday the 26th February 11am-6pm in Hyde Park South with the largest gathering of NSW Winemakers in one place anywhere. The whole Glandore team will be on hand at the event. So come on by for a few glasses of Glandore wine and catch up with Duane, Matt and our new Cellar Door Manager Ashleigh. We will be pouring our new Vintage wines including Blanc De Blanc, Savagnin, Blush Moscato, Canberra Shiraz, Hunter Shiraz, Pinot Noir and Chardonnay. It looks like great weather for the weekend. Look forward to seeing you all there! This weekend’s Sydney Cellar Door will see the launch of ‘Ask for it’, a new NSW Wine marketing initiative. ‘Ask For It’ is a new campaign designed to continue the momentum that has been created since 2008 when the NSW Wine Strategy was launched. The strategy is designed to highlight the quality and diversity of NSW wines and to encourage NSW residents to become as fiercely parochial about their State’s wine as the other wine producing States. The strategy has been incredibly successful to date and has seen on-premise sales of bottled NSW wine within NSW increase from $52.3M in 2007 to $87.7M in 2011, an increase of over 60%. Whilst a great start, this is not the time to rest on past successes so ‘Ask For It’ is here to remind consumers that the power is with them. If they can’t see a NSW wine on a bottle shop shelf or on a wine list then they should ask for it. Whether that be in person or via the many social networking platforms now available, ask for it. The launch of ‘Ask For It’ encourages NSW wine lovers to make their desire to drink local wines known to their favourite restaurants, wine bars and bottle shops, helping lift sales of NSW wine to the next level. Importantly, this initiate will support the many small, family owned vineyards who are competing with large corporations from across the globe, and in turn offer consumers even more value and choice. lamb or a beef & Guinness pie. ALTHOUGH its just $10 a bottle, Deakin Estate's 2010 Shiraz is a wine you can easily put on the table with a meal to impress – things like oven-baked rack of lamb, or a hearty beef and Guinness pie come quickly to mind. Made from fruit from the company's vineyards in the Murray Darling region of North West Victoria, it's a wine whose deep and vibrant red colour not only looks good, it tastes good too. Winemaker Phil Spillman aged separate parcels of the wine in American and French oak barrels, then brought them together for the resultant blend: rich blueberry characters are to the fore with medium tannins and a lingering finish. With its $10 price-tag its worth considering by the case, particularly as its showing plenty of potential to cellar well through until 2016 or so; or enjoy now with that rack of lamb, beef and Guinness pie or even aged sirloin topped with a chimichurri sauce. dishes, or spiced-up chicken wings and pork ribs. 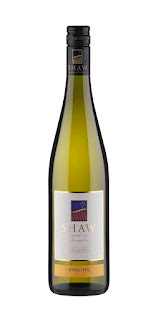 ONE FOR LUNCH: EVEN though he has planted just 34-hectares of their 280-hectare fine wool property to grapes, Graeme Shaw and his family have produced some ripper wines from their Shaw Vineyard Estate at Murrumbateman just to the north of Canberra. One of their latest is their 2011 Riesling, a wine that shows how Riesling can enjoy life to the full in a cool climate like that around Canberra: this one's got lovely tropical fruit aromas and a palate of passionfruit and limes, and with Riesling being one of the great food wines – it'll match such a diversity of dishes through the whole spectrum from entrees to desserts – try this one with anything from Moroccan, Asian or Mexican, to spiced up chicken wings or pork ribs. Just 300 cases were made, at just $22 a bottle these are sure to be snapped up. Sydney Cellar Door kicks off the 2012 NSW Wine Festival, brought to you by Citibank, on Saturday 25 and Sunday 26 February in Sydney's Hyde Park South. It's a chance to taste wines from all over NSW (more than 400 of them!) and to meet face-to-face the talented men and women behind the creation of some of our country's finest wines. Learn the stories behind the labels and be the first to discover the new secret gems of NSW wines. Add to this ultimate array of NSW wines, Sydney's leading restaurateurs, live music from a mix of well-known and up-and-coming artists and 30,000 like-minded food and wine lovers and you have a world-class festival vibe! The Cellar Door Stage starts out easy on Saturday with Dixieland trad jazz from Robbers Dogs, before erupting with the high octane sounds of The Myall High Club and Sydney's hottest young group of artists, Aston. Sunday sees last year's hit duo Kinetic Method return to start the day with a bang, handing over to Bluehouse from Melbourne and The My Ty's, who provide boppy tunes with a hint of reggae that you can't help but move to. Find your favourite stylish Rosé to match the equally groovy barbecue pork, leek and jalapeño from Porteño Restaurant & Bar, or a chilled Pinot Gris to cool the spicy pepper and garlic prawns from Nilgiris. With 14 NSW Wine Regions to sample from, you can create your own matches but a Hunter Valley Sangiovese could be an ideal accompaniment to the Syrian specialities from Almond Bar or maybe an Orange Merlot to complement last year's sell-out success, the famous homemade meatball wraps from Wine Odyssey? NSW regional produce will be celebrated with NSW Wagyu Beef from Restaurant Cuvee and award-winning cheese platters from the Hunter Valley Cheese Company. Don't forget, after Sydney Cellar Door and throughout March you can still enjoy a glass or two of NSW's finest thanks to NSW Wine of the Month (NEW in 2012) and Dine with NSW Wine - February 27 to March 31, 2012. NSW Wine of the Month sees a selection of Sydney's best wine bars – Firefly, Water Bar at Blue, Zeta Bar at The Hilton, Time to Vino, Grasshopper, The Gazebo, The Owl House, and many more - offering a glass of NSW wine and matching bar snack for just $15. When you've done sipping and grazing, tuck in to Dine with NSW Wine, with many of the state's leading restaurants offering exclusive, great value wine-matched menus from just $30-$50. enjoy with grilled lemon chicken. WINE consultant, tutor, critic and author, Rob Geddes noted recently that Aussie Chardonnays are making a come-back, after falling off the rails in the 1990s and their sales being hammered further by rising star Sauvignon Blanc. Rob blames the Chardonnay demise on makers here following the Californian experience and coming up with what he calls their "Dolly Parton-style – full-bodied, up-front and with everything on show." In brief, he says, "they were over-scented, thickly textured and laden with toasty oak." As we know sales of our Chardonnays spiralled downwards over the past decade, but Rob says we've learned our lesson and Aussie Chardonnays today are more likely to be more elegant, lean and streamlined. And certainly one that falls into that category is Cumulus Estate's 2011 Rolling Chardonnay that's possibly the best that their winemaker Debbie Lauritz has ever produced. Made from fruit from the company's vineyards on the Central Ranges and at Orange NSW, this is a Chardonnay that's elegant with finer than usual fruit flavours ranging through citrus, white stone-fruits and riper tropicals, and with some acidity and a wonderful mouthfeel. 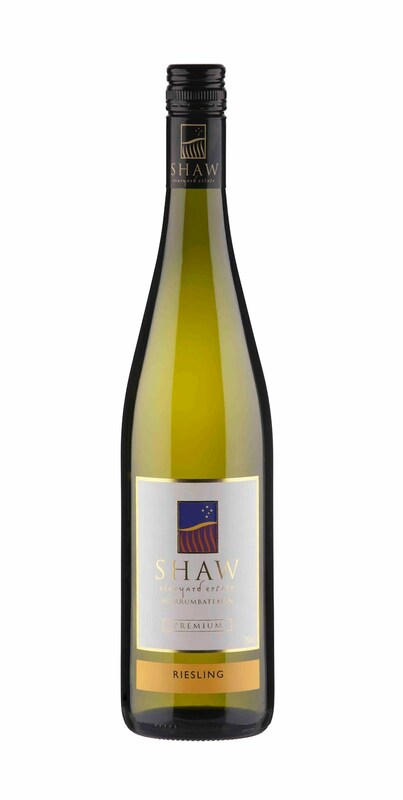 At $17.95 enjoy this new-look Aussie Chardonnay with grilled lemon chicken. ONE FOR LUNCH: SMALLER than average crops in the Hunter Valley in 2010 produced some wonderfully intensely-flavoured fruit for winemakers, and one stand-out drop that resulted from this was Mount Eyre Vineyards' 2010 Three Ponds Merlot. A wine with generous dark berry fruit flavours and some nice soft tannins, it's a lovely drink now but will develop further complexity over the next ten years if you'd like to tuck it away. If more interested in enjoying it now, pay $22.95 and share it on the table with almost any red-meat dishes. On 1 February Plunkett Fowles winery will be known as Fowles Wine to reflect the future direction of the winery. Late last year, the Fowles Family purchased the remaining interest in the winery from Alan Plunkett. In the circumstances, Sam Plunkett has decided to pursue his Master of Wine. These key developments are a significant milestone, marking what the Fowles Family feel is an exciting opportunity toevolve the winery's name from Plunkett Fowles to Fowles Wine. Fowles Wine will continue to be led by Matt Fowles, with Victor Nash stepping up to lead the Fowles Wine winemakingteam as Chief Winemaker. Matt Fowles said: "We have an incredible team here at Fowles Wine and a real winemaking talent in Victor Nash. Victorhas worked alongside Sam Plunkett crafting our award winning wine for over ten years and has had full operationalresponsibility for the winery since 2007." 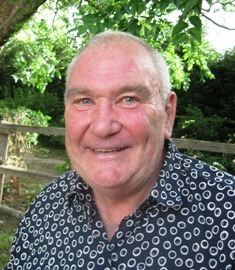 Matt Fowles said: "There will be no changes to any of our wine or wine brands. We continue to be wholly focused onpouring the best of the Strathbogie Ranges into the glasses of our loyal followers. We only intend to make a smallcosmetic change on our logo to reflect the winery's ownership change. As a family we're excited about the next phase and, in particular, continuing to take the best of the 'Bogies to the world. COOL idea for bubbly celebrations. WHEN one of our most respected sparkling winemakers sums up a vintage in just one word – fantastic – you can expect a bubbly from that year to be nothing other than, well, fantastic. And that's the case with Chandon's Tasmanian Cuvée 2008, a celebration drop that the company's Sparkling Winemaker, Glenn Thompson can quite rightly describe as "a sensational blend of vibrancy, complexity and intensity." Made up of 48 per cent Pinot Noir and 52 per cent Chardonnay from the cool-climate Coal River Valley south-east of Hobart, this sparkling reflects just what comprised that "fantastic" vintage – a perfect growing season followed by a long, slow and cool ripening period that meant for wonderful flavour development and beautiful natural acidity. Add to all this Glenn Thompson and his team's skills in the winery and you've a wine with a silky palate of brioche and toast from extended yeast aging, and which melds with lush fruits and a backbone of fresh acidity and minerality. At $39.95 you'll find it ideal with that next celebration brunch. or lighter Southern Italian pastas. ONE FOR LUNCH: WITH some of the toughest conditions in New Zealand's Marlborough – steep slopes that many said were impossible for viticulture, high sunshine, strong winds, cool nights and low rainfall – you'd wonder why Peter Yealands even bothered. But with determination and a great winemaker in Tamra Washington he's created some extraordinarily good wines, not the least his just-released Yealands Way 2011 Pinot Gris. Remarkably this variety actually flourishes in those harsh conditions we've mentioned, and the 2011 is full of stone fruit and honey flavours, and nicely-balanced fruit smoothness and acidity. At $17.99 it's great value with Asian dishes or lighter Southern Italian pastas.